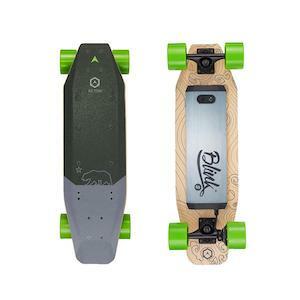 Major manufacturers of electric skateboards have released deals for Black Friday. 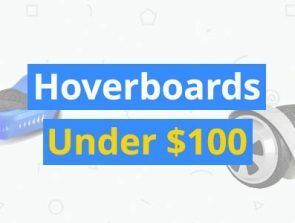 Electric skateboards are a lot of fun, but with an average price of $500 most people can’t justify the cost. Fortunately, you can save up to 33% on an electric scooter during Black Friday. 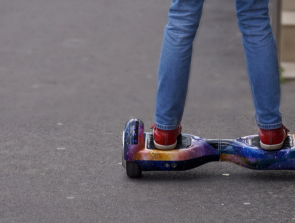 Electric skateboards are fast becoming the best way to get around town on short commutes. Longboards offer longer range, faster speeds, and better stability than most other electric transportation methods. They are also still usable if the battery runs out. These sales are valid right now. Halo Board is a Los Angeles company, which started in 2005. It’s one of the most established companies in the electric transportation space. They are a premium brand that offers the most high-quality products that you can find. The Halo Board 2 is no exception and it has great features. 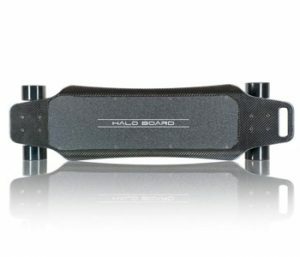 The Halo Board 2 is the lightest and thinnest electric skateboard because it is made from carbon fiber. It weighs just 14 pounds, which means that it is extremely easy to carry. The well though out design has a carry handle that you can use to easily pick it up. The Halo Board 2 has incredible 3000 watts of power and a fast 22 MPH top speed. It can power through hills with a 25% gradient. It can go forwards and backwards and the remote has a built-in speed indicator. In short, the Halo Board 2 is the best electric skateboard that you can get. This is an unbeatable price with this Black Friday sales price. Acton is a Silicon Valley company that has earned a reputation for well-designed products. 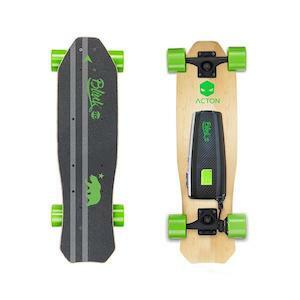 It was founded in 2013, which means that the Acton has five years of experience. This is a long time for an industry that has only recently taken off. They have released discounts of up to 33% off on four different models. The Lite V2 is for people on a budget. This electric skateboard is one of the cheapest you can buy. It is back for only a limited time. It has a single motor with a maximum range of 5 miles. It can go up hills with an 8% gradient. It weighs just 7 pounds, which means you can take it anywhere. 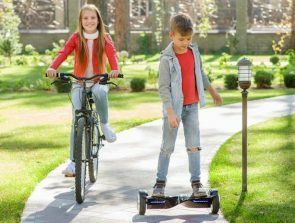 The maximum rider weight is just 130 pounds, so this electric skateboard is primarily for kids. 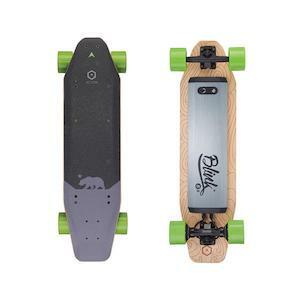 The Blink S-R is a lightweight electric skateboard that’s on sale for $100 off. It only weighs 11 pounds, in large part thanks to having only one motor. The deck is made from Canadian maple wood and aircraft grade aluminum. The Blink S-R has a top speed of 17 MPH. It can go up 15% grade hills and it has a maximum range of 7 miles. The maximum weight capacity is 220 pounds. Overall, this is a decent skateboard for beginners and people with short commutes. The Blink S2 has been reduced by $150 for Black Friday. This skateboard has a lot more power than the Blink S-R. It has dual motors and double the range at 14 miles. It can achieve slightly faster speeds of 18 MPH. It can also take on much steeper hills with a 20% maximum gradient. This electric skateboard has a maximum rider weight of 250 pounds. It strikes a great balance between price and features. The QU4TRO is a premium electric skateboard that is for people who want only the best. 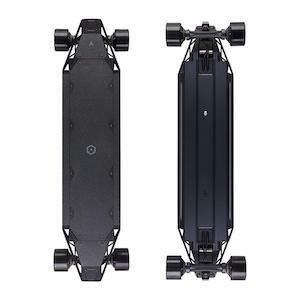 It’s the world’s first 4WD electric skateboard, with every single wheel having a motor. It also has an impressive 22 mile range and it can go up even the steepest hills with a 30% maximum gradient. The QU4TRO can go at speeds of up to 23 MPH, which means you can cruise right along with traffic. The suspension system absorbs impacts and results in less rider fatigue. 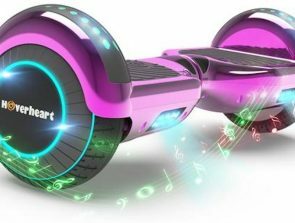 It has a carbon fiber construction like the Halo Board and it weighs 24 pounds with a maximum rider weight of 280 pounds.